Seagrasses are species of aquatic flowering plants which are grass-like in appearance. Globally there are four families of seagrass. Zostera from the family Zosteraceae is the only genus of seagrass present in Ireland. Despite the grass-like appearance they are more closely related to the pondweeds than the grasses. Overall two species (sometimes classified as three) are found along the Irish coast including dwarf eelgrass (Zostera noltii), the intertidal form of eelgrass (Z. marina Var. 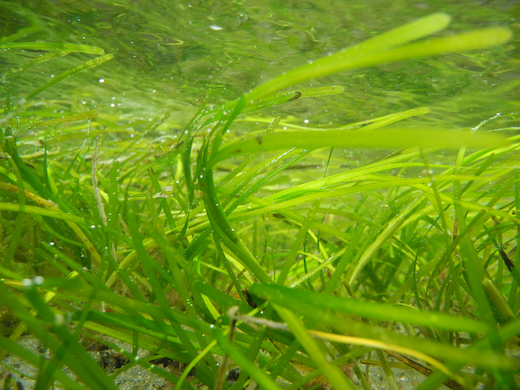 angustifolia) and eelgrass (Z. marina). Eelgrass species can be found in estuaries, tidal pools and mud flats, where they can form extensive beds. In Ireland dwarf eelgrass is present mainly in Kerry, Northern Ireland and the south east of Ireland; eelgrass has a more comprehensive distribution occurring along the north, south and west coast (National Biodiversity Data Centre, 2014). The Tralee bay area covers an extensive area, of which much of the land is protected under European law. The bay is home to a number of special species ranging from seasonal visitors to permanent residents. This includes dwarf eelgrass which is of particular importance. Many other species in the bay depend either directly or indirectly on this species. Root and rhizome tissues are thought to anchor and stabilize sediment; this enables beds to exist for many years provided no large disturbances compromise the area. The relatively consistent environment created by dwarf eelgrass can have high species diversity; mainly rag worms, lug worms, cockles and small crabs. In recent years public interest has been growing in areas of conservation. In the case of seagrasses most public knowledge is limited and so is active conservation in many areas. The ecosystem services of seagrass beds are valued at 19,004 $/Ha/year, three times greater than that of coral reefs (Costanza et al., 1997), making them worthy of some conservation attention. Eelgrass species have undergone rapid declines in recent years, from anthropogenic causes as well as a ‘wasting disease’ that destroyed Z. marina beds globally. Despite the decline Z. noltii and Z. marina are listed as ‘Least Concern’ in the IUCN databases. Local and regional declines in eelgrass populations are contributing significantly to overall species declines (Short et al., 2011). The need for conservation and restoration seems to be at a critical point given the improvements in water quality over recent years.